Ideal setting across from nature reserve! 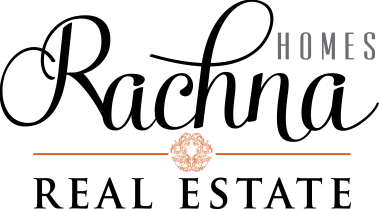 Light-filled living spaces brimming with style, hardwoods, frplc. 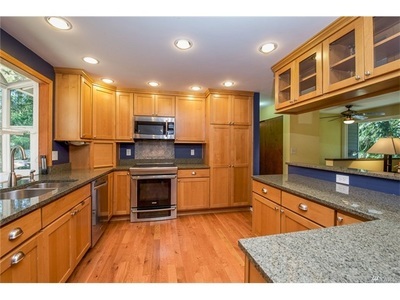 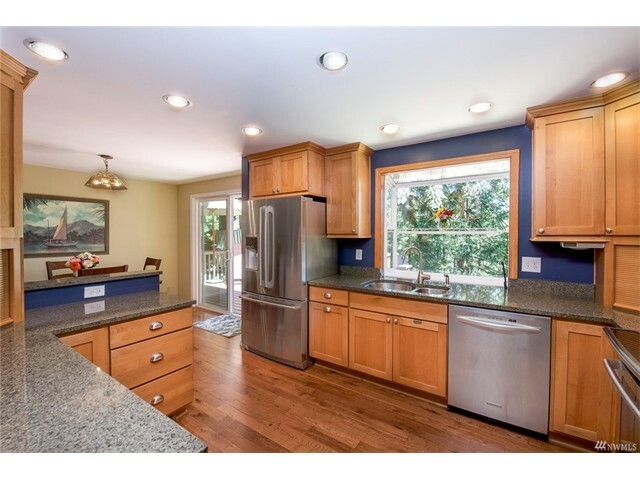 Dream kitchen updated with granite, induction stove, dbl oven, built-ins, applcs garages, pull out shelving; opens to din rm. 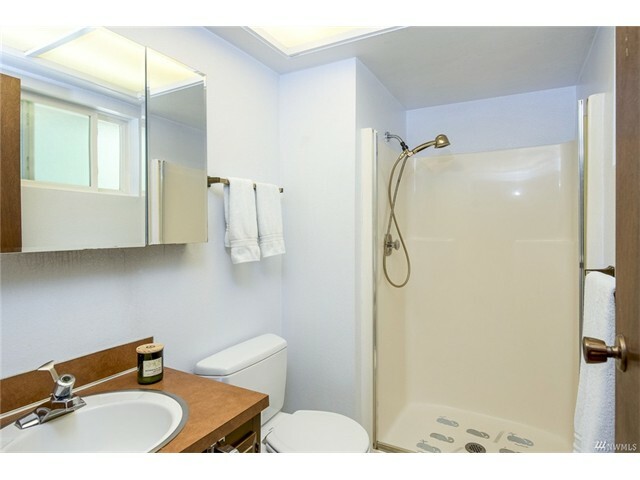 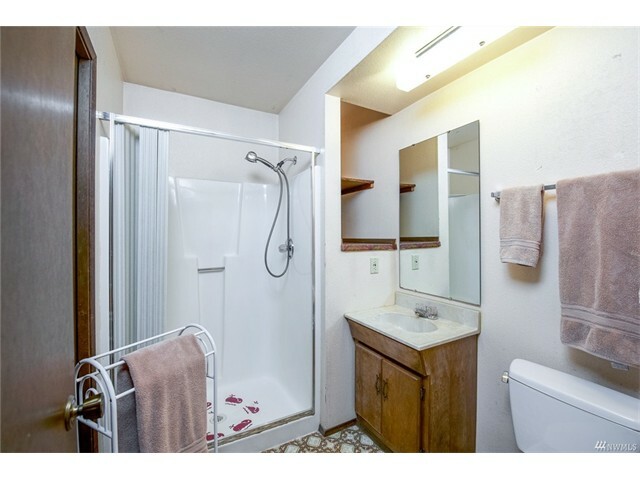 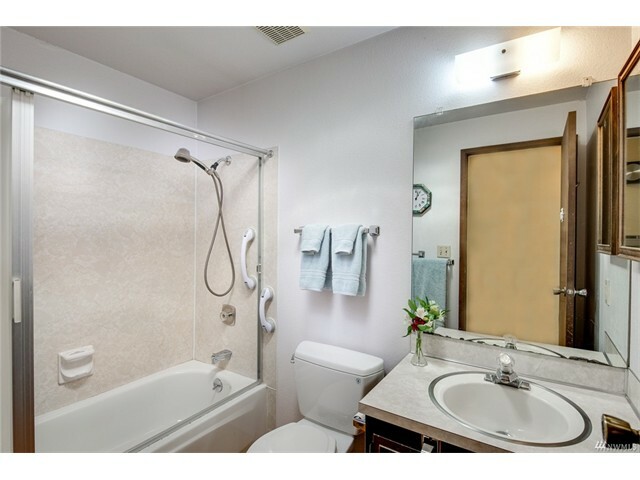 Upper level: Three bdrms include master with own bath; full guest bath. 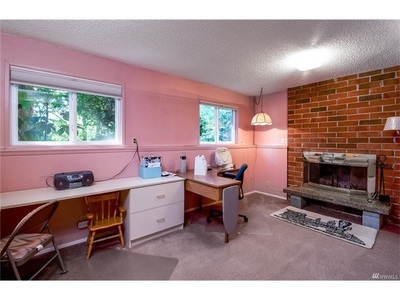 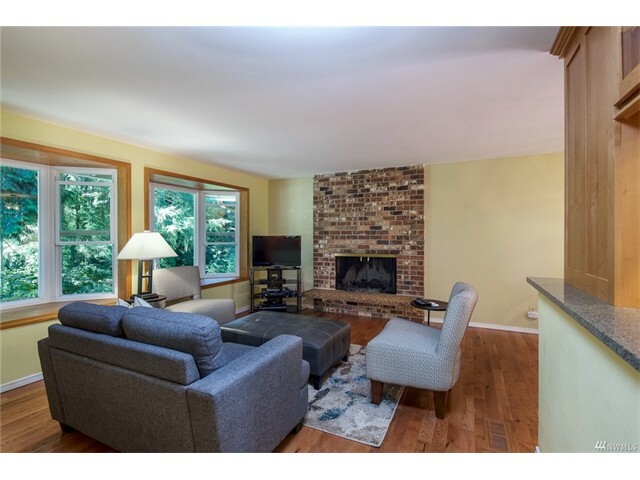 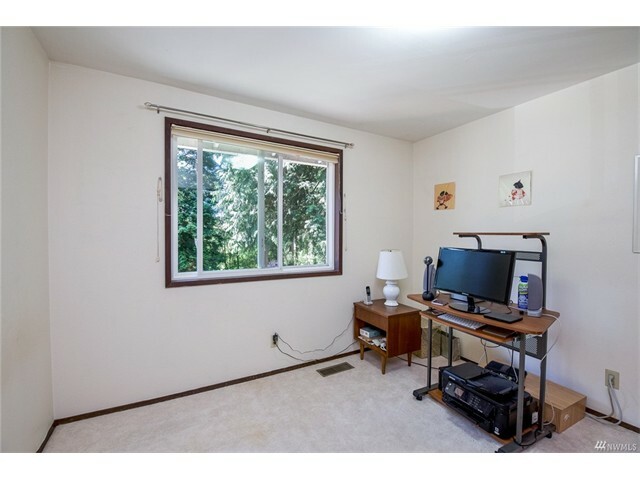 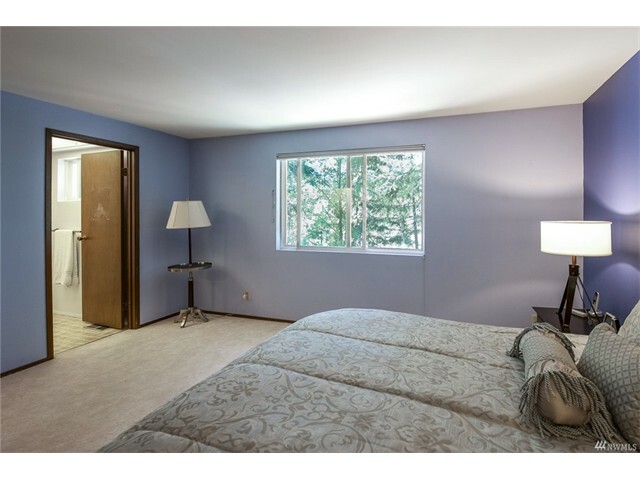 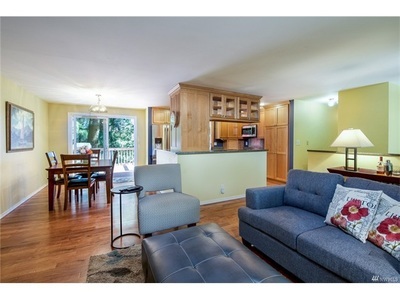 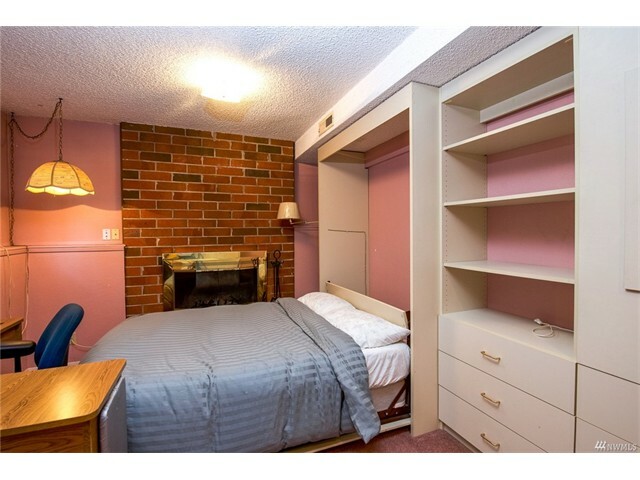 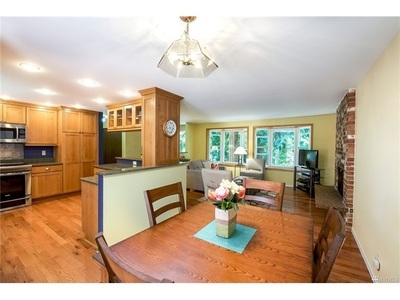 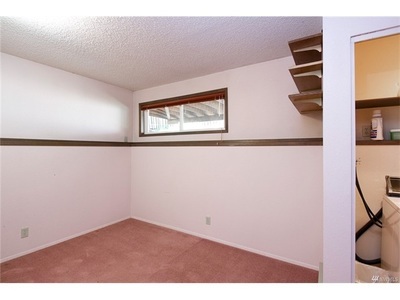 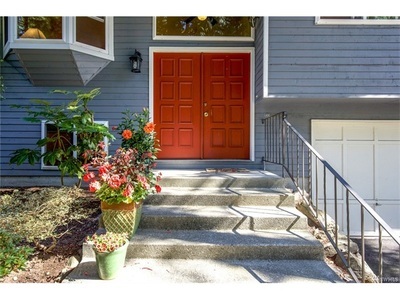 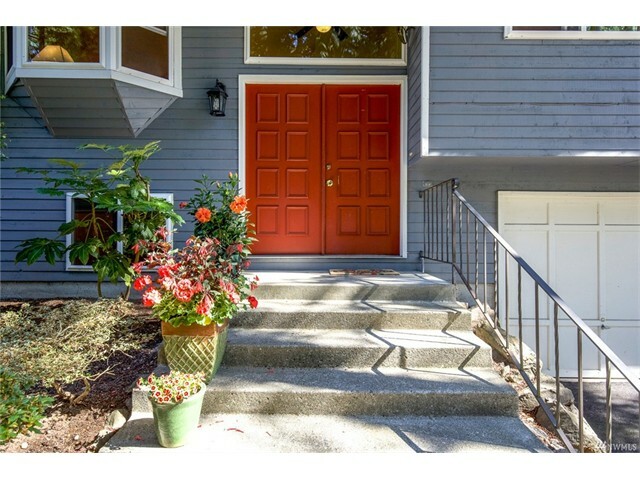 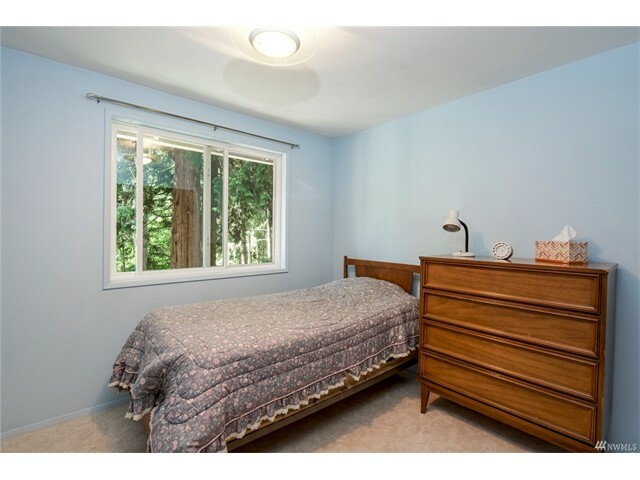 Lower level: Rec rm, frplc, den/office features Murphy bed, built-ins, bonus rm, 3/4 bath. 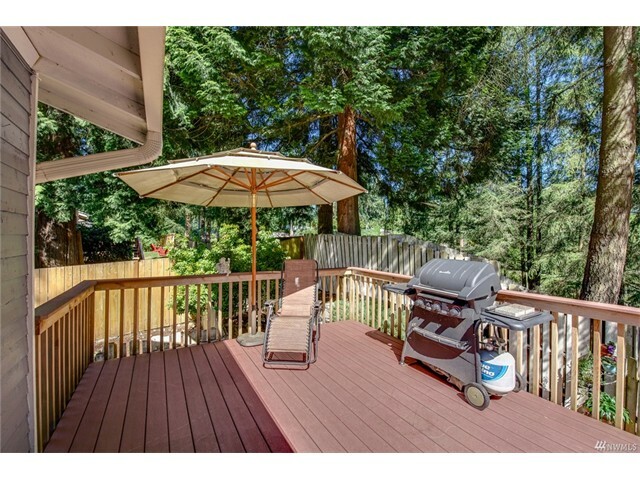 Deck overlooks treed setting. 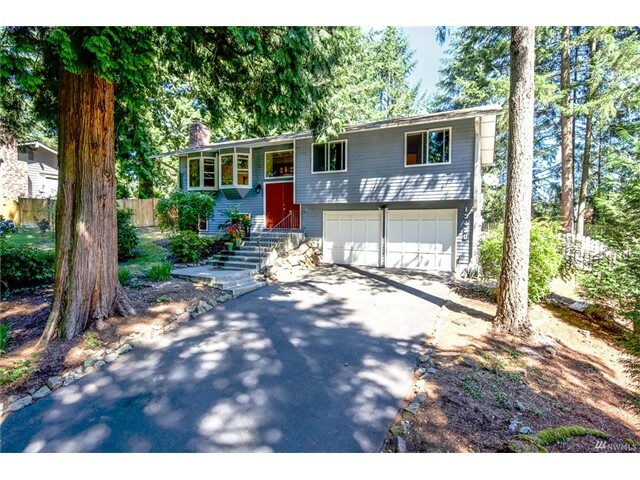 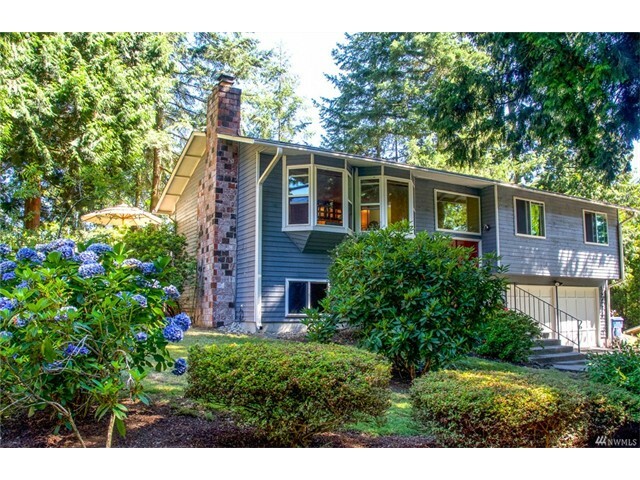 Over .23 acre; prime location close amenities, parks; Northshore schools.